At the time of its creation the P-38 Lightning fighter was thought of as the most advanced plane developed by Lockheed up to that point in the war. In 1937 the U.S. Army Air Corps released a request for a new plane that required climb capabilities, speed and range that weren't possible with the single engine planes of the day. Lockheed immediately started a project that would come up with multiple designs that could satisfy the Army's requirements. The winning design was the XP-38. 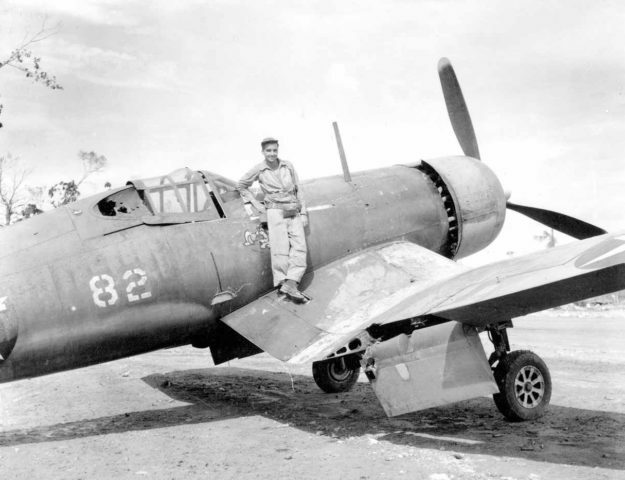 The XP-38 was an incredibly advanced design. It was conceived as an all-metal, mid-wing plane with dual Allison engines and GE turbo-superchargers. It should also have a central nacelle where the pilot, armament, landing gears and a lot of other components were to be located. Nothing like this had been attempted, the P-38 Lightning would become the twin-engine aircraft with a single seat to be mass produced during the Second World War. 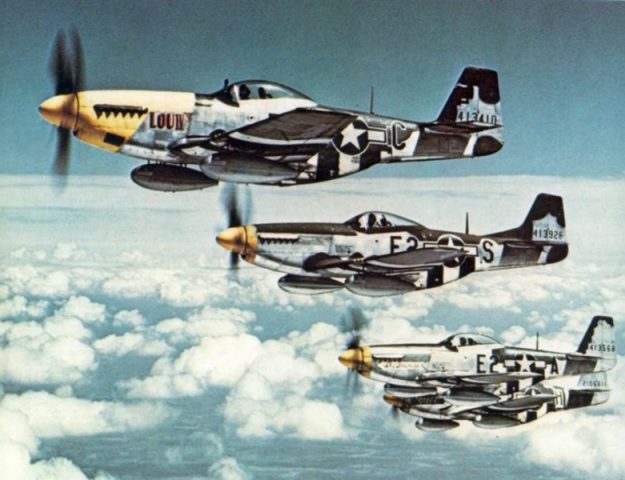 Thanks to its distinctive look and sound it would become one of the most recognizable planes in World War II. 4× M2 Browning machine gun 0.50 in machine guns with 500 rpg. The P-38 Lightning, at the time still known as XP-38, was flown for the first time on January 27, 1939 by one of its strongest advocates, Ben Kelsey, 1st Lieutenant of the Air Corps. It became the interest of national media when it crashed on an transcontinental record attempt. Despite the bad press the P-38 Lightning was needed for the upcoming war in Europe and so production started. By the end of the war a little over 10,000 of the P-38 Lightning aircraft were manufactured. The P-38 was much more advanced and modern than the Curtiss P-40. In every part of World War II there was demand for the P-38. As far as battlefields are concerned the P-38 Lightning saw its biggest success in the Pacific Theater. The P-38 was the only plane capable of completing an important mission that required a plane that could fly an incredible 800 miles (around 1290 km). The goal of the mission was to shoot down a plane carrying Admiral Isoroku Yamamoto. While the P-38 wasn't as maneuverable as the Japanese planes it made good use of its stronger sides. To battle the more maneuverable enemy the pilots used dive and zoom tactics and when the opportunity presented itself they used the P-38s high firepower to take out the enemy. It featured 4 .50 inch machine guns in the center and a 20mm cannon. The pilots that used the P-38 Lightning went into battle very confidently. The problem with fighting in the Pacific Theater was that most of the battles were over water, so if you lost the engine in your plane you would almost certainly crash into the water at high speed and get killed. What gave P-38 pilots confidence is that even after a long battle if they found themselves without one engine they could somehow make it back to base with the other engine. The P-38 Lightning didn't fare quite as well in Europe as it did in the Pacific. Its large size turned out to be a problem because of the impact it had on its maneuverability. Another problem was that its engines didn't operate as well in the cold European temperatures and high altitudes. Despite that it became one of the most used planes in the European Theater as well. Along with doing bomber escorts and reconnaissance it also acted as a bomber itself. In the bomber role it would carry up to 4000 pounds (1800 kg) of bombs. There was even a special version of the P-38 which featured bombing modifications such as a radar or the Norden bombsight. 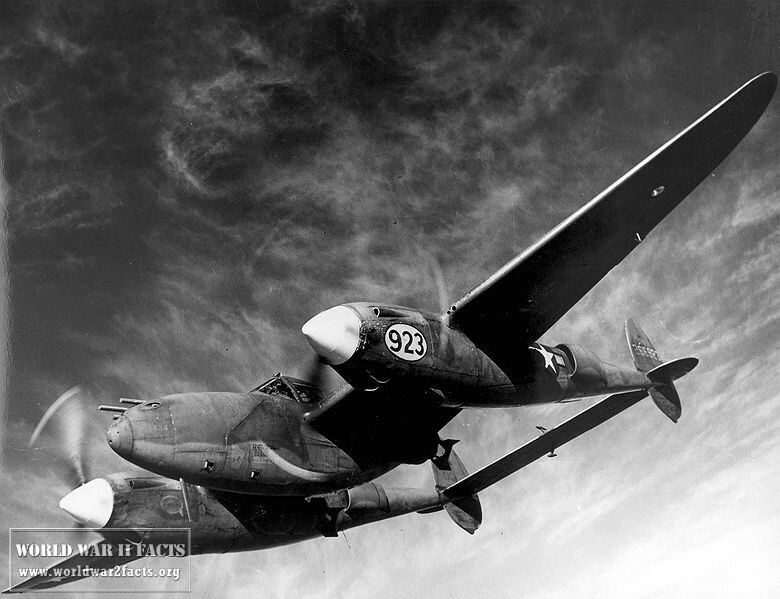 During it's time around 1,400 P-38 Lightning were made as reconnaissance aircraft. These would fly, without arms, deep into enemy territory. There were more P-38s serving as reconnaissance than any other aircraft in that role in the USAAF. 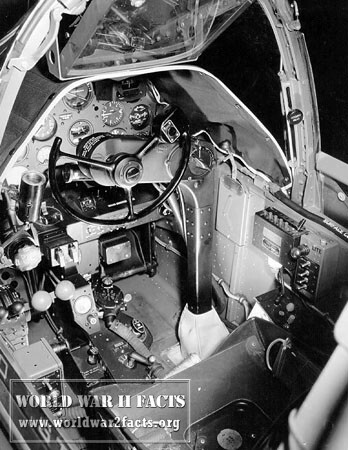 The P-38 Lightning set and broke many records. 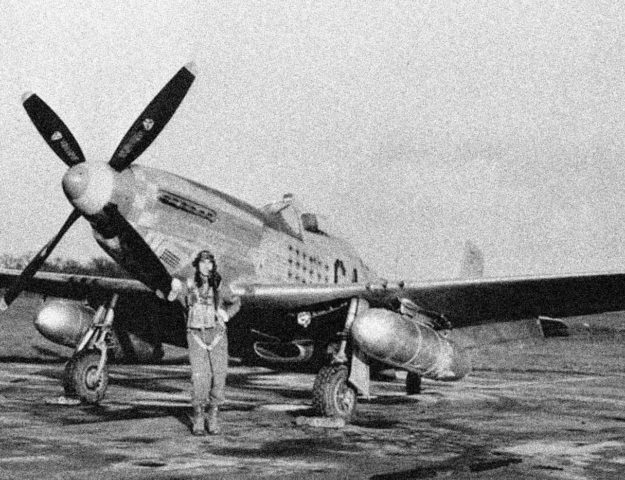 It was the only U.S. fighter to begin production before the start of World War II and continue to be in production by the surrender of Japan and ending of World War II. (1943) AN 01-75FF-2 Erection and Maintenance Instructions for Army Model P-38L-1 Airplane, last viewed: April 21st, 2014. 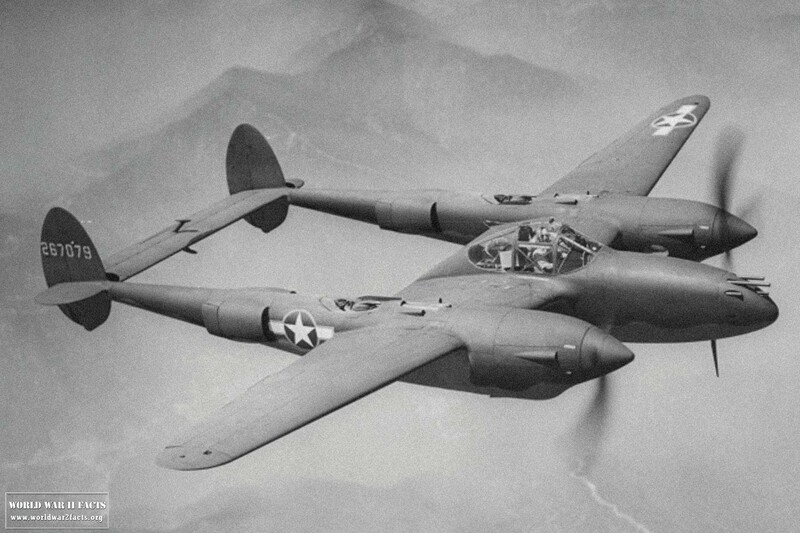 "Lockheed Lightning (P-38/J)" a 1944 Flight article, last viewed April 21st, 2014. Scutts, Jerry. Lockheed P-38 Lightning. London: The Crowood Press, 2006. ISBN 1-86126-770-3.United States Air Force Museum Guidebook. Wright-Patterson AFB, Ohio: Air Force Museum Foundation, 1987.